Honor Play, the first of a game changing new product series, delivering a revolutionary fast gaming and entertainment experience. The top country based on gaming revenue is the Kingdom of Saudi Arabia (KSA) with $765 million. The United Arab Emirates (UAE) follows in the third place with a gaming revenue of $322 million. 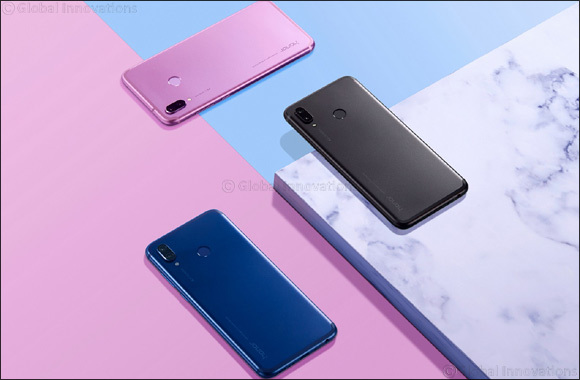 Honor Play is designed for the groundbreaking graphics processing technology GPU Turbo, touted as the “Gaming Monster” Honor Play AI-enabled device worked with many gaming partners such as PUBG MOBILE and Asphalt 9 for customized optimization. Smartphone penetration among millennials in the GCC is in the high 90s and mobile usage is at almost 100%, according to a new study by thinkwithgoogle , 2017. According to NEWZOO Gaming, 88% of millennials and zillennials in the KSA have identified themselves as mobile gamers and 86% of the same generations in the UAE have identified themselves as mobile gamers as well. Honor brings the best technology for millennials and zillennials that are mobile gamers: Honor Play. It is the prefect addition offers young people what they want from their smartphone device: fun all the time, provided by unprecedented gaming performance and a superior performance for 24/7 entertainment. The Honor Play will redefine these standards for young KSA and UAE gamers at an affordable price point of SAR1,199 and AED1,199. With the GPU Turbo, Honor Play guarantees fast speeds and addresses the common performance issues that plague the mobile gamer’s user experience. The GPU Turbo leverages the innovative hardware-software integration solution which dramatically increase graphics processing and the average frame rate to the fullest possible rate. The graphics processing efficiency is increased by 60%, while the SoC (System on Chip) energy consumption is reduced by 30%. Even the jitter rate and temperature have been minimized for a smoother, more comfortable performance. The game changing GPU Turbo is only the beginning of the Honor Play’s trendsetting features. The device is one of the smartest mid-range phones on the market, putting professional photography in the palm of your hand with AI-enabled front and rear cameras. With AI-enabled smart real-time recognition of 22 objects and more than 500+ scenarios, the Honor Play 16MP+2MP rear dual cameras act as your own professional photographer to auto-identify scene types and adjust the exposure and color for the perfect image. With AI motion detection and intelligent recognition, snapshots using the 16MP front camera are now easier than ever before. The Honor Play makes portrait art much easier with multiple studio lighting options from Soft Lighting, Butterfly Lighting, Split Lighting, Stage Lighting to Classic Lighting. The device delivers an exceptional performance for work or play and casual users will experience just as much fun from this device as gamers, thanks to the huge 3,750 mAh battery which allows for heavy gaming and entertainment use, equaling more than 15 hours of video streaming and 95 hours for music playback, even with the 6.3-inch FullView FHD+ display. A range of smart features are enabled by the Kirin 970 NPU chipset which, together with EMUI 8.2, unleashes a truly AI-mazing processing power. This performance beast has a simple and understated aesthetic that is suited for work or play. Honor Play’s slim and subtle unibody metal design comes in a range of colors, suited for all gamers: Midnight Black, Navy Blue, Ultra-Violet, and a special Player Edition patterned in red and black. The design retains the body of a typical 5.5-inch screen device to ensure it fits comfortably in your hand but features a 19.5:9 bezel-less display, an 89% screen-to-body ratio and split screen function for multitasking, allowing you to do much more with your screen time. The Honor Play will be available at SAR 1,199 for purchase at Jarir, Extra, Lulu & other markets in KSA, and at AED1,199 at retail stores from August 1 in UAE. Honor Play fans will have the opportunity to put their skills to the test and compete with and against star gamers at Gamescom this year on PUBG MOBILE, Asphalt 9 and other games. All these games have been customized for GPU Turbo, with many others due to be announced shortly.